The commissioner has commended police for their work in catching the first suspect alleged to have killed the Matwetwe star. 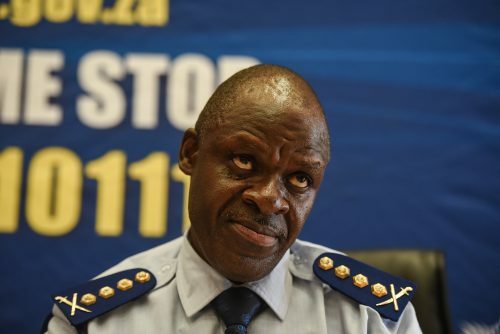 South African Police Service (SAPS) national commissioner General Khehla John Sitole has lauded police for the arrest of a 36-year-old man in connection with the robbery and murder of 25-year-old actor Sibusiso Khwinana. Khwinana had been in the company of his friends on Friday, March 1, when he was stabbed and robbed of his cellphone in Pretoria. Immediately after the murder of the actor, a multidisciplinary task team comprising of crime intelligence, detectives and forensic experts was activated. “I am satisfied with the progress made in the investigation of Mr Khwinana’s murder. However, I am aware that other suspects are outstanding, to which I have tasked the investigation team to ensure that the the outstanding suspects are apprehended,” Sitole said on Sunday. The arrested suspect was expected to be charged with robbery and murder and would appear in the Pretoria Magistrate’s Court on Monday. Anyone with information regarding the other suspects involved in the robbery and murder were kindly requested to contact the SAPS toll free number 086-00-10111. All callers may remain anonymous and all information would be treated with the strictest confidence. Gauteng community safety MEC Sizakele Nkosi-Malobane also welcomed the arrest of the suspect and commended police for the swift arrest, while a manhunt for his two accomplices was under way. “We made a commitment during the course of the week that we shall continue to work around the clock to ensure a breakthrough in the Khwinana murder case. I wish to commend a team of detectives who are working on this matter for their hard work. This demonstrates our unwavering war on the brutal killings of innocent citizens. I am also hopeful that the other two accomplices will be apprehended soon to face the full might of [the] law,” Nkosi-Malobane said.